The New People's Army are the enemy. Filipinos should rally behind their troops in their efforts to kill the enemy. 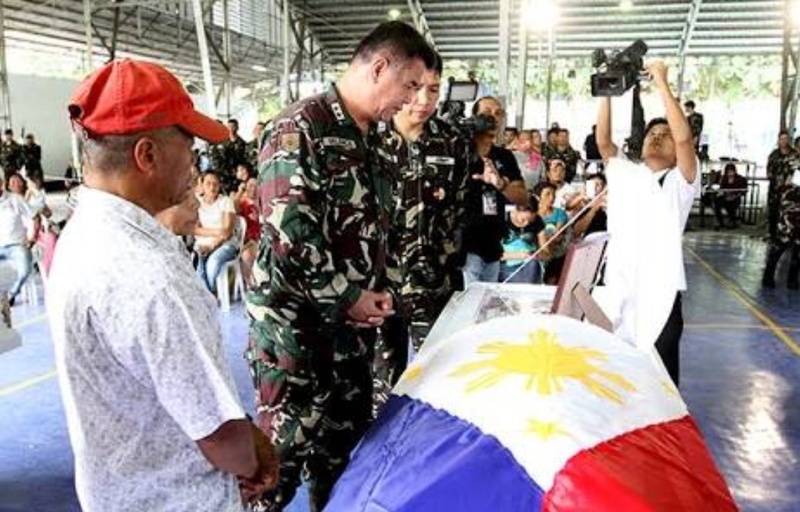 That's what Filipinos spend billions training and arming them for -- to shoot the enemy. 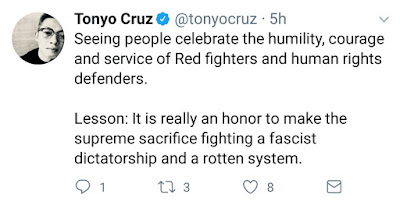 When people like Tonyo Cruz publicly express messages of support for the enemy, what does that make him? He is supporting a camp who kill Filipino soldiers and require Filipino taxpayers to spend billions more to train and arm more soldiers.